How to find poetry in the everyday, i.e the contents of an old handbag or the memory of your father’s delight in a feed of pig’s feet. A consideration of the role poetry plays in keeping alive the memory of the people, places and events that shape us. An examination of the elements of a well-achieved and emotionally resonant poem. Generating material from free intuitive writing and lists. Margaret Galvin promises an engaging, interactive and informative workshop. The validity of each unique voice will be emphasised as participants consider a few well-chosen poems, including the 2018 Award winning poem Wash Day by Joan Morrissey, to illustrate how memories can be powerfully re-visited to inspire poetry. The everyday will be foregrounded as the contents of an old handbag is explored or the memory of a Friday night feed of crubeens (pig’s toes) is recalled, not only with love but with great technical competence. The hope is that every participant will leave with a multiplicity of new ideas to write about with renewed faith in their writing practice. Margaret Galvin is a native of Cahir, County Tipperary who has lived all her adult life in Wexford. She has worked variously with the library service, as Editor of Ireland’s Own and latterly in social care. She hold an MA in Child, Youth and Family Studies and is especially interest in the role writing plays in self-understanding and identity. Her workshops are wholly accessible, interactive and practical, designed to validate each participant in their unique exploration and expression. She has been writing poetry for over thirty years, with six collections published. She is currently working on a new and selected collection of poems about her early life in Tipperary. 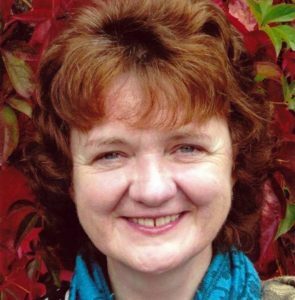 Margaret has been an Award receiver in the Anthony Cronin International Poetry Award and is a 2019 Judge for that Award.